The CMP has recently posted its 2011 schedule for its CMP Summer Youth Rifle Camps (see chart below). The CMP Summer Rifle Camps are primarily designed for junior shooters participating in three-position air rifle. These popular five-day camps have been a staple of the CMP Summer line-up since 2000. Registration opens on 17 January. Cost is just $225 for each junior shooter, a fee kept low through CMP camp subsidies. Campers receive classroom instruction by top air rifle experts, and personal attention on the range from established collegiate athletes. 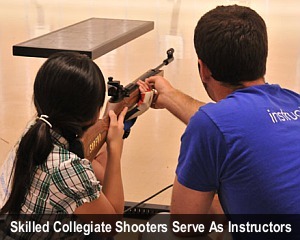 National Rifle Team Members and Olympians contribute to the camp curriculum. For the third straight year, Sommer Wood, a collegiate shooter at Clemson, will be Camp Director. Just like 2010, all full-length three-position air rifle camps will take place at the CMP North and South ranges, in Port Clinton, Ohio and Anniston, Alabama respectively. There will also be a three-day Advanced Standing Camp and several Outreach Clinics at various locations in the country. But note: All camps and clinics will be commuter only — the CMP removed the program’s housing option in 2010. 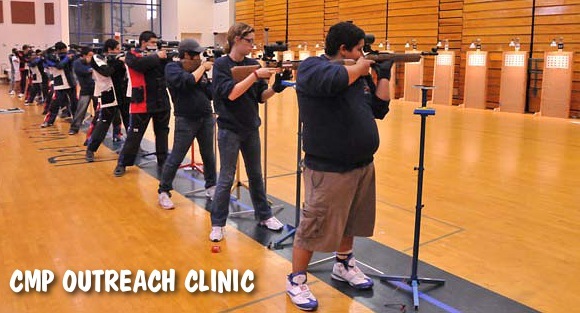 To reach a wider base of young shooters, the CMP will also be offering summer Outreach Clinics, in addition to the scheduled Camp programs in Alabama and Ohio. In 2011 Outreach Clinics will be held in Texas, Arizona, South Dakota, and New York.Registration for Outreach Clinics opens April 1, 2011. For more information regarding the 2011 Summer Camps please visit the CMP homepage, www.odcmp.com and click on the Summer Rifle Camps link. You can also contact Sommer Wood at swood [at] odcmp.com. Share the post "CMP Sets Dates for 2011 Summer Camps"